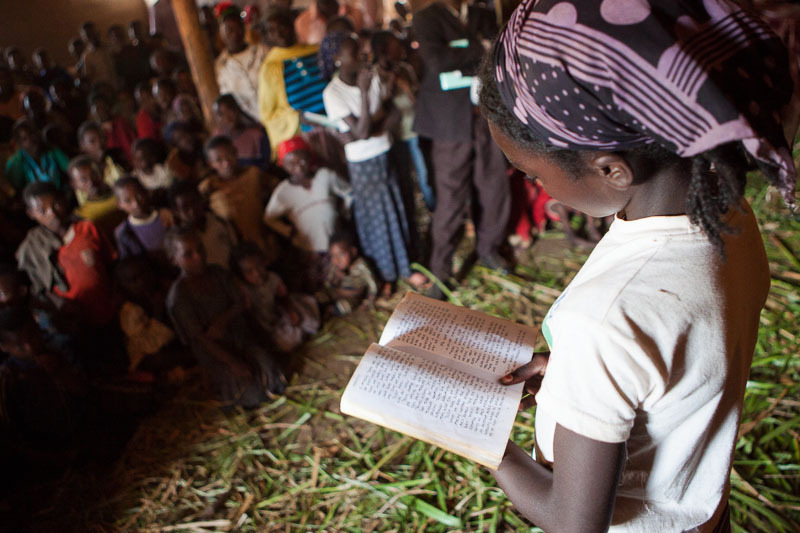 A young girl reads from the Basketo Scripture portions on a Sunday morning in Ethiopia. People of all ages presented their mother-tongue reading skills as a way of encouraging more people to join the church’s literacy classes. Two British linguists moved to Ethiopia to work on a Bible translation with the Basketo people but after finishing the initial linguistic analysis their family needed to relocate to a nearby city due to the illness of one of their children. They were able to hand over their ministry to a talented young Basketo man who worked on the translation with their assistance and some financial support from member organisations of the Wycliffe Global Alliance. After several years the Gospels of Mark and Luke have been published and the entire Basketo New Testament is currently being reviewed. Therefore the credit for the work is due not to two missionaries, but to a team of translators, consultants, and supporters both in Ethiopia and worldwide. Read the full story of this Basketo project as published by Christianity Today.